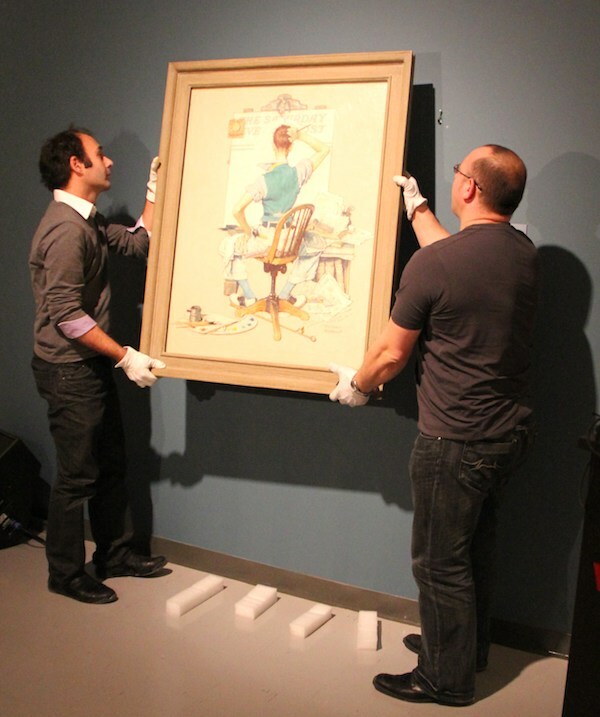 The Winnipeg Art Gallery will open an anticipated exhibit dedicated to the work of Norman Rockwell (1894-1978) on Friday. “American Chronicles: The Art of Norman Rockwell” will run at the WAG through May 20. Rockwell’s work depicted scenes from everyday American life for the covers and pages of the nation’s most prominent publications. A weaver of narrative and painterly images, he was a consummate visual storyteller with a finely honed sense of what made an image successful in the new, rapidly changing era of mass media into which he came of age. “As one of America’s best loved artists who worked for more than six decades capturing much of the 20th century on canvas and paper, Norman Rockwell produced images that appeal to people of all ages and backgrounds,” said WAG executive director Stephen Borys. The exhibit features more than 40 major paintings, the complete set of 323 Saturday Evening Post covers, and a group of rarely seen preparatory works and artifacts. The Norman Rockwell Museum in Stockbridge, Massachusetts organized the travelling exhibit.